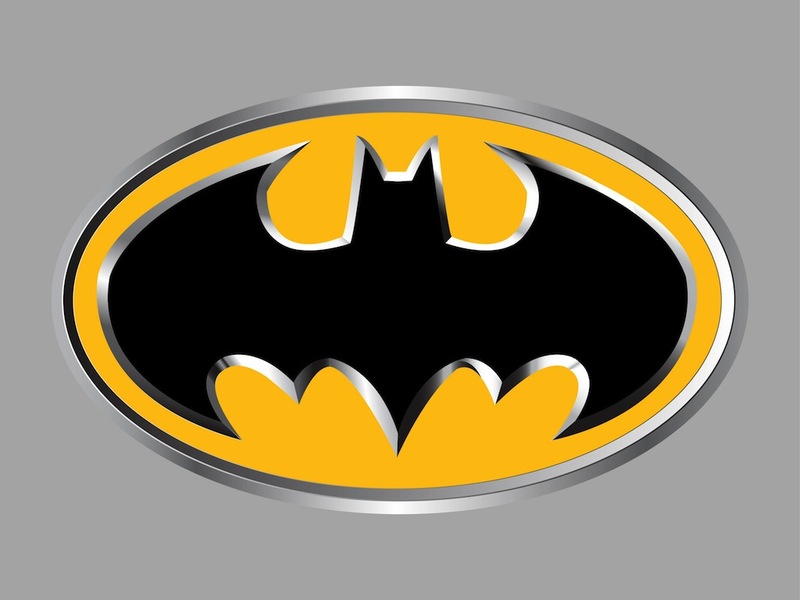 Vector illustration of the symbol of Batman. Popular superhero character typical sign – big bat silhouette with wide spread wings. Ellipse shaped logo with a shiny metallic frame. Free vector image for all superheroes, fictional characters, popular culture symbols, movies and comic books visual projects. Tags: Bat, Cartoon, Comic, Ellipse, Logo, Pop Culture, Sign, Superhero.